This is probably the most unusual book on the life of Christ I’ve ever read. 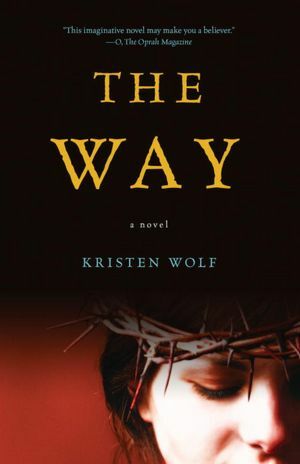 In this retelling of the Gospels, Peter is not a fisherman, but a shepherd who hates women with a passion, Solomon is the leader of the shepherds and not a king, Judas is a drug addict, and Jesus is not a man at all but a transgendered woman who is sold by her father (Joseph) to Solomon after he murders her mother, a foreign born woman by the name of Mari. Solomon, who’s mother was a pagan woman named Zari starts to realize that there is some infatuation going on between Peter and Jesus (whose real name is Anna) sends Jesus away so he (or she) can find a safe passage for the sheep. Once in the desert, Jesus encounters a strange tribe of women living in caves. These women practice The Way, a nature based religion that was practiced before Judaism. Jesus learns the Way and is happy there. Unfortunately, a band of misogynistic fundamentalist men find their caves and destroy all the women but three. Jesus, then has to make her way back to the extremely misogynistic culture from which she came. I found this book intriguing, and an interesting retelling from a feminist perspective. It was certainly unusual, and had it not been for the names of the characters in the book and hints from the gospels, such as Joseph being a carpenter, I would not have recognized the story of Christ in it. If you read the book as it is intended—as a work of fiction—the book flows beautifully. I got caught up in Anna’s story and loved how Ms. Wolf wove her tale. The pacing is excellent and the characters are believable and well developed. I enjoyed the book. I look forward to reading more of her work. I would not, however, give a copy of this book to your fundamentalist Christian grandmother.